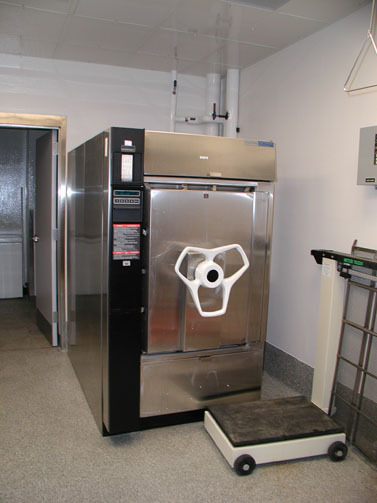 Amsco 3043 Autoclave 24x36x48 - LabTrader Inc.
Unit is completely refurbished including new insulation, valves and piping. Chamber has been hydro tested and completely cleaned to like new condition. Door has been disassembled, cleaned, greased and the bellows tested. Boiler, shelves, cart and trolley or and external stainless sides available at additional cost.